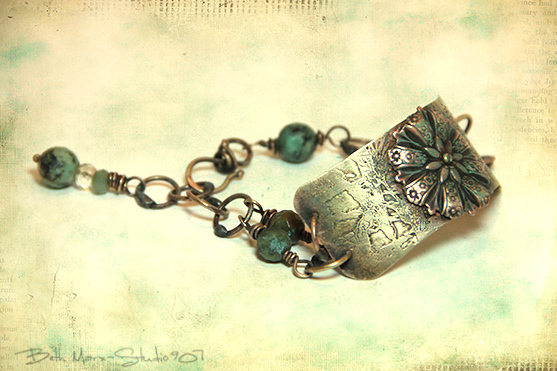 Lovely work...the bronze is perfect with the green beads. So many techniques in there, too. I am finding the bronze wire so difficult to work with...even the jump rings seem to become hard very quickly. Are all your ring components bronze, too. Hi Jenni, Thanks for the compliments. 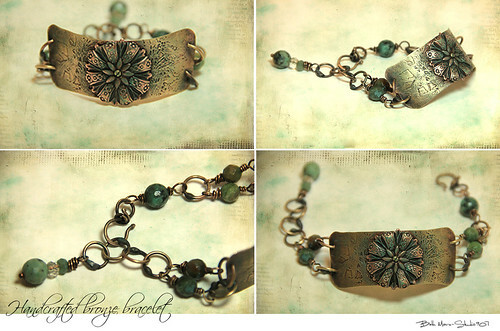 All the components are bronze too including the wire wrapping, the jump rings and the clasp. I didn't anneal the jump rings but I did anneal the clasp after balling each end. Annealing the wire made it a lot easier to work with. and I used MAPP for both balling the ends and annealing.